Thanks to a trailblazing marine protection initiative in Turkey, the tide may finally be turning for the Mediterranean monk seal – one of the world's most threatened marine mammals. Mediterranean monk seals are exposed to a barrage of threats throughout their limited range, including habitat deterioration, pollution, accidental entanglement in fishing gear, disturbance at breeding sites and reduced availability of prey as a result of unsustainable and illegal fishing practices. The global population of this endearing but endangered pinniped may be as low as 600 individuals, and the total number of adults is estimated at no more than 450. The Aegean Sea harbours the largest subpopulation, and around 100 of these seals are found in Turkish waters. Gökova Bay Special Environmental Protection Area is Turkey's only actively managed marine protected area. Encompassing over 300 square kilometres of marine and coastal habitat, it is a vital haven not only for Mediterranean monk seals, but also for sandbar sharks, dusky groupers and other charismatic but threatened fish species. Fauna & Flora International's partner in Turkey, Akdeniz Koruma Derneği (AKD), has been spearheading a programme of conservation activities in this protected area since 2012, including community-led patrols aimed at minimising destructive and illegal fishing practices. The most intensive patrolling focuses on 27 square kilometres of designated no-fishing zones, which are intended to provide the highest possible level of protection to critical inshore ecosystems throughout the wider bay. Community rangers patrol these zones every day, reporting any illegal fishing activities to the authorities. Close collaboration with local fishers and fishery cooperatives has helped to ensure that the effectiveness of the protection measures is carefully monitored. 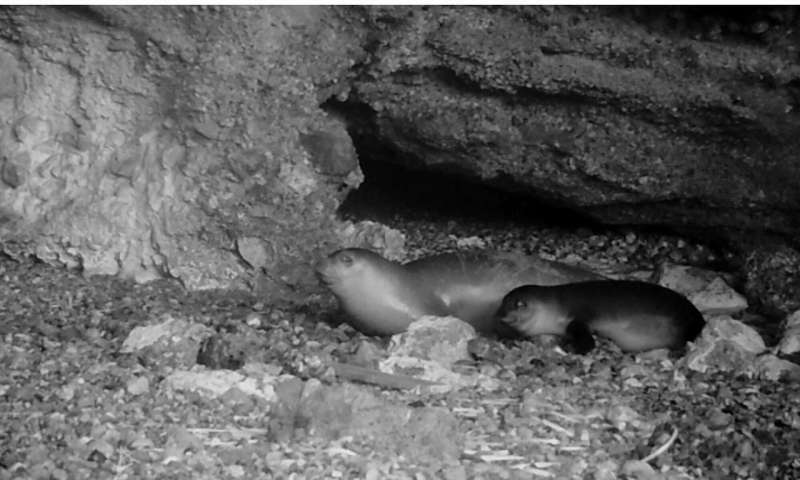 For example, monk seal sightings and behaviour have been meticulously recorded, and camera traps have been installed inside the caves identified as potential breeding sites. The findings reveal that the community-led enforcement of the no-take zones has had a demonstrable impact on marine biodiversity and the local economy. Reduced fishing pressure has led to greater abundance of all fish species compared to the numbers in less protected areas. This has had a beneficial knock-on effect for monk seals and other predatory marine species by increasing the availability of prey. Monk seals typically breed once every two years in other coastal Mediterranean areas. In Gökova Bay, however, they are now able to breed annually due to the increased food supply. Two breeding pairs have occupied caves within the highly protected zones, and their pups have been captured on camera. This engaging marine mammal is by no means the only beneficiary of the stringent protection measures in the bay. The programme has recorded year-on-year increases in the population of the sandbar shark, a neglected apex predator that is vulnerable to extinction. The iconic dusky grouper is also enjoying a resurgence. The dramatic recovery in local fish stocks has also resulted in significant economic benefits; the programme witnessed a fourfold increase in small-scale fishing income per boat between 2013 and 2018. Gökova Bay Special Environmental Protection Area is a shining example of a marine protected area that actually does what it says on the tin. Unfortunately, the same cannot be said for the rest of Turkey's waters. Although nominally protected by a suite of MPAs, they are plagued by destructive fishing practices and suffer from the same lack of active management – otherwise known as 'paper park' syndrome – that characterised Gökova Bay before FFI and AKD intervened. 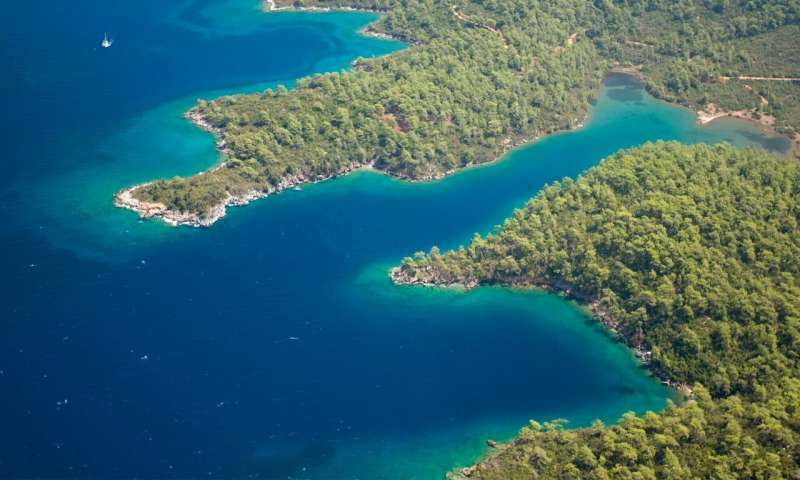 With support from the Endangered Landscapes Programme, we are aiming to replicate the ecological and economic success of the Gökova Bay model at an additional six sites in the wider Turquoise Coast seascape. Working closely with the relevant ministries, the Turkish coastguard and a consortium of other partners, FFI and AKD will undertake restoration work across over 500 kilometres of vulnerable marine habitat along the Turkish Mediterranean coast between Muğla and Antalya provinces. These conservation measures will not only benefit threatened seagrass meadows, monk seals, sharks and groupers, but also support coastal fishing activities, which have been adversely affected by habitat destruction, pollution, declining marine diversity and climate change. The ultimate goal is to establish a network of genuinely protected areas that will combat the threats posed by damaging and illegal fishing practices, safeguard environmentally sensitive bays and inlets against the negative impacts of tourism and help to mitigate the unwelcome side-effects of climate change, including the influx of invasive species such as rabbitfish that are moving north into the warming Mediterranean from the Red Sea. President of AKD, Zafer Kizilkaya, has witnessed at first hand the dramatic improvements brought about by well-enforced no-fishing zones: "Our experience from Gökova Bay shows that fish biomass increased tenfold within the protected zones in eight years. 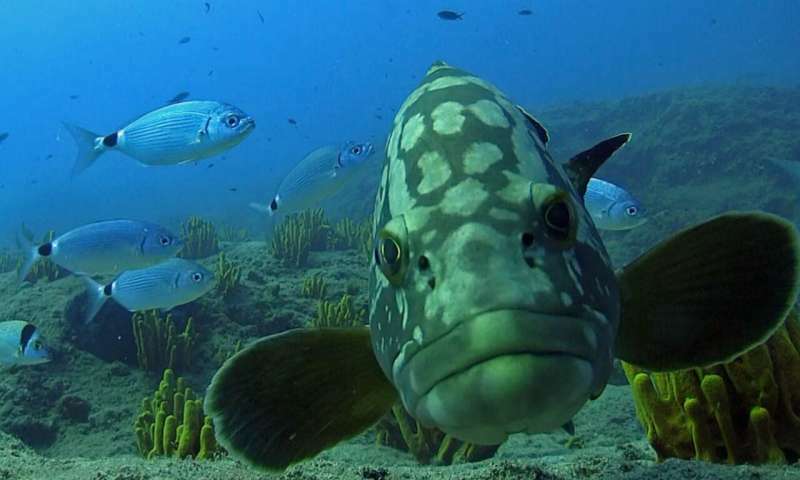 Reducing pressure on apex predators such as groupers strengthens the resilience of the marine ecosystem by controlling invasive species and restoring ecosystem integrity." Zafer is relishing the prospect of rolling out the Gökova Bay blueprint more widely: "This will be an important test case for large-scale restoration in the Mediterranean." 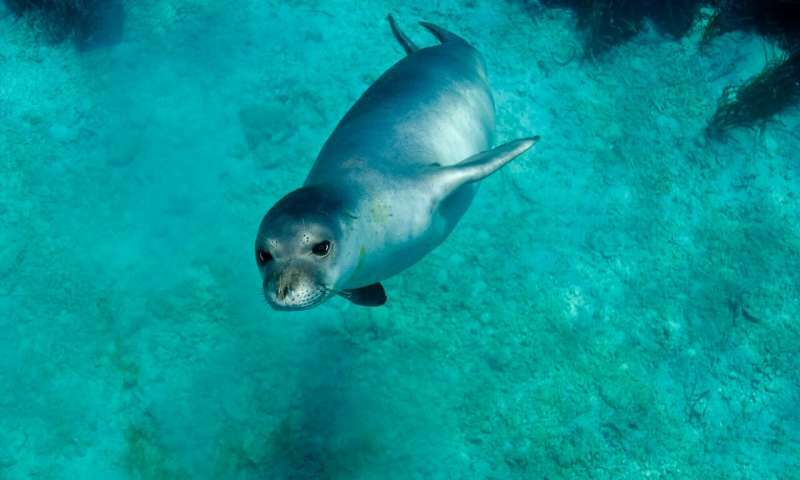 The fate of the monk seal – and indeed the entire Mediterranean seascape – could well hinge on the success of this ambitious initiative.